ALONG A winding stretch of country road, five minutes out the back of Deloraine, is not the sort of place you’d expect to find a high tech operation ticking along. But that is exactly what is happening at Forager Foods in Red Hills. Forager Foods have successfully made a name for themselves, both at home and abroad, for their freeze dried fruit, vegetables and ready-made meals for backpackers. However they have just branched out into a new venture, one that has substantial market potential here in Tasmania. Forager Foods received a small grant from the federal government for $75,000 to help build a powdering and packing line for hemp food products. Production will supply Brisbane-based company Fair Foods, who have their hemp grown and processed in Tasmania. Forager Foods owner John Ranicar said the move was about tapping into a new market with a large potential, as well as diversifying their business which is predominantly built on freeze drying fresh fruit and vegetables. “If anything happened to our dryers, we’d be in trouble,” Mr Ranicar said. Forager Foods new hemp powdering and packing machine will ameliorate this risk. The machine takes the leftover “mash” from hemp plants that have had oil extracted and processes it into a 45% protein powder that can be used in foods such as smoothies or salads. The process has a 50% production return which means, for example, 10 tonnes of raw hemp would make 5 tonnes of powder. “Due to changes to the law, there has only really been a market for hemp food products since November,” Mr Ranicar said. 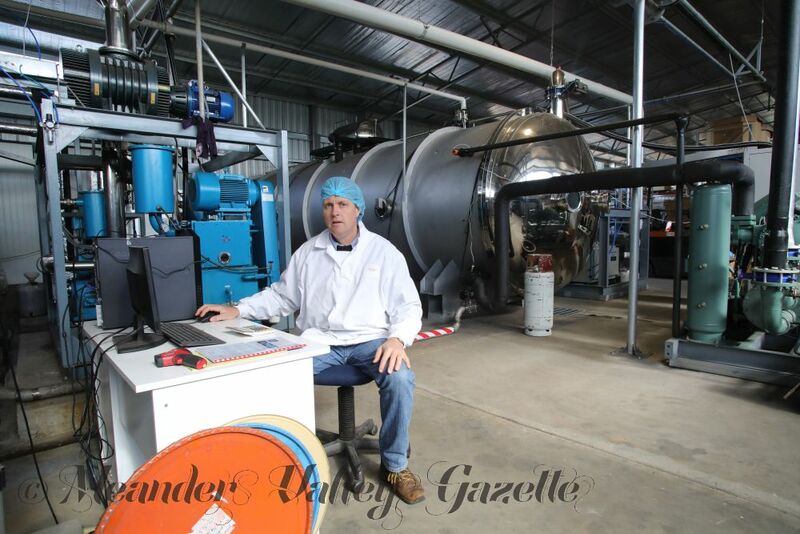 This is not the first time Forager Foods have been given a government grant, having received funding for a freeze dryer in 2015 upping their process capacity to 1 tonne a day. Today, they process roughly 10 tonnes of fresh produce per week.